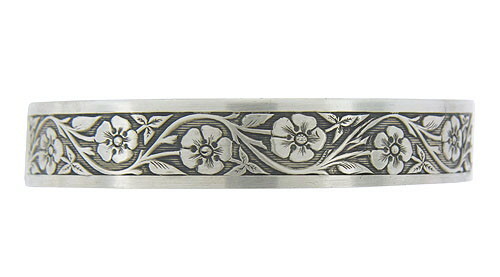 Medieval inspired flowers and foliage tumble across the face of this spectacular sterling silver bangle bracelet. Darkened lines give depth to the antique style decoration. 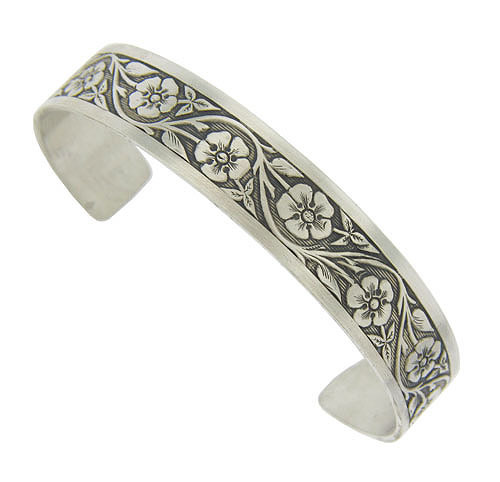 The bracelet measures 5" interior, 1/2" wide.